Cutlets are a popular choice when you are looking for a snack in the evenings. 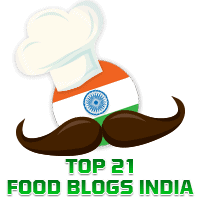 Elsewhere in this blog you will find the recipes for cutlets that I make from time to time such as Palak and Corn Cutlets, and Sprouted Moong Cutlets. Poha is "Beaten Rice" in Hindi and this recipe for Poha Cutlet is adapted from the one given by the legendary Tarlaji Dalal. It makes for a filling snack and goes best with a green chutney. There are different types of beaten rice available in the market, please choose the thick variety for making these cutlets. Place five of the cutlets and shallow fry them using oil as required, till they turn golden then flip and fry them on the other side too. Repeat this procedure for the remaining cutlets. Serve hot with a green chutney of your choice.